The Hymn Project is 200 instrumental piano hymns on 7CDs, played Directly from the hymnal. Easy to accompany your church, gathering, or group. Needing piano for SINGING hymns? this is for you! The Hymn Project was created to provide the experience of a pianist playing the hymns from the hymnal - a familiar style that's easy to sing along with, that feels comfortable and at home in any situation. With 200 of the most sung hymns on 7 CDs, you can use the tools that you already have (a CD player, computer, smart phone, tablet) to play the hymns and lead your congregation, group, or to just enjoy the music that has been a part of the faith for generations. If you don’t have a pianist available, The Hymn Project CDs can provide the accompaniment you need for your worship service or gathering, with the sound you want. Order your set Below today! Order both Set 1 and Set 2 of The Hymn Project, for 200 hymns over seven CDs – the best selection of instrumental piano hymns to cover any occasion, celebration, holiday, and more. With 150 hymns over five CDs, Set 1 of The Hymn Project provides you with the perfect selection of instrumental piano hymns for any occasion and setting. Adding 50 hymns over two CDs that cover a variety of holidays and celebrations, Set 2 of The Hymn Project is the perfect companion providing instrumental piano hymns for the special days throughout the year. Sign up with your email address to receive more information and special offers! Thank you for your email! Please let us know if you have any questions, and keep an eye out more information and for special offers in the future! "We got The Hymn Project and used it this past Sunday and it worked great. 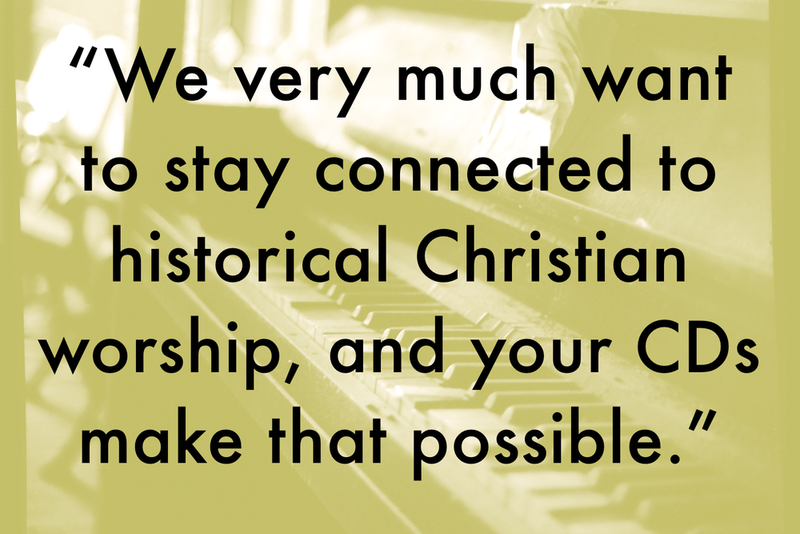 We no longer have to worry about not having a piano player available - this is an amazing backup, and blessed assurance."